You may be surprised to learn who Gen. George Washington (a Virginian) invited to march alongside him at the Victory Parade in Philadelphia on July 4, 1783. It was Revolutionary War hero General Bernardo de Galvez. He was Spain’s colonial governor of Cuba and the Louisiana territory (comprising 13 current U.S. states), Commander in Chief of the allied fleet in the Caribbean and Washington’s indispensable ally. This took place nearly 200 years after the founding of Santa Fe, New Mexico in 1610, making it the oldest capital city in the United States and more than two centuries after Saint Augustine, Florida was settled in 1565, the oldest permanent European settlement in mainland USA. If you’re feeling bad because you didn’t know this, don’t worry, because much of the information about Latino contributions to our nation’s history is missing from our text books and our museums. Latinos have played a vital and formative role throughout our history in every aspect of society. From our military to business to art, science, medicine and more. We would not be the great country we are today were it not for Latino contributions. It is important that we remember and commemorate these contributions. 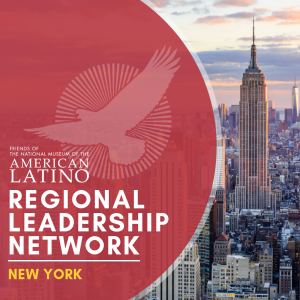 At 58 million people, roughly 18 percent of the population, Latinos are ethnically and racially diverse, politically varied and leaders in every occupation at every level in our economy. They are farm workers, astronauts, Supreme Court justices and everything in between. They are dedicated to family, faith and share an optimistic view of the future. We should enlighten all Americans about the extraordinary contributions and achievements of this community. Moreover, by 2060, Latinos will make up nearly 30 percent of the population. Thus, if we hope to remain a strong, vibrant and thriving nation, this important segment of the American family needs to be inspired. They must feel acknowledged, engaged and invested in our common future prosperity. 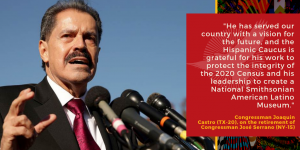 It is for these reasons that the time has come for a National American Latino Museum. A museum devoted to the documentation and explication of Latino life, art, history, and culture. A museum that should be part of the Smithsonian Institution and take its rightful place on the national mall. Fortunately, there is a bill in Congress (H.R.2911/S.1364) that would authorize the creation of such a museum. The bill was introduced last year by Rep. Ileana Ros-Lehtinen (R-Fla.), the first Latina in Congress who is retiring at the end of this term. The effort to create this museum has been on a long road, starting in 1994, when a task force was convened by the secretary of the Smithsonian to examine how well they were portraying the Latino experience in their museums. 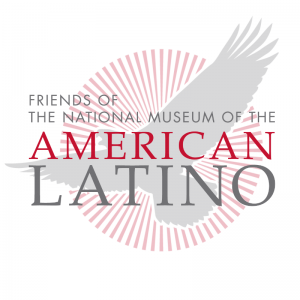 The task force delivered its report, calling it Willful Neglect; and among the ten recommendations was that there should be an American Latino Museum. Finally, in 2008, President Bush signed into law the creation of a Commission to study the feasibility of creating such a museum. That Commission’s report title was To Illuminate the American Story for All—to benefit everyone; Latinos and non-Latinos, all Americans and those visiting America to get a better sense of who we are as a nation. The Commission came to three basic findings—there is a clear and pressing need for the museum, that it should be part of the Smithsonian Institution as the preserver of our heritage, and that it ought to be on the national mall. We are proud to support this important legacy initiative and encourage all members of Congress and all our fellow Americans to stand with us to create a National American Latino Museum which allows us to remember, enlighten and inspire. Comstock represents Virginia’s 10th District and serves on the House Administration Committee which oversees the Smithsonian Institution and is a member of the Kennedy Center Board of Trustees. Vargas is a Virginia business owner who is the Chairman of the Board of the Friends of the National Museum of the American Latino and former Chairman of the Virginia Board of Workforce Development. Story originally posted on The Hill.